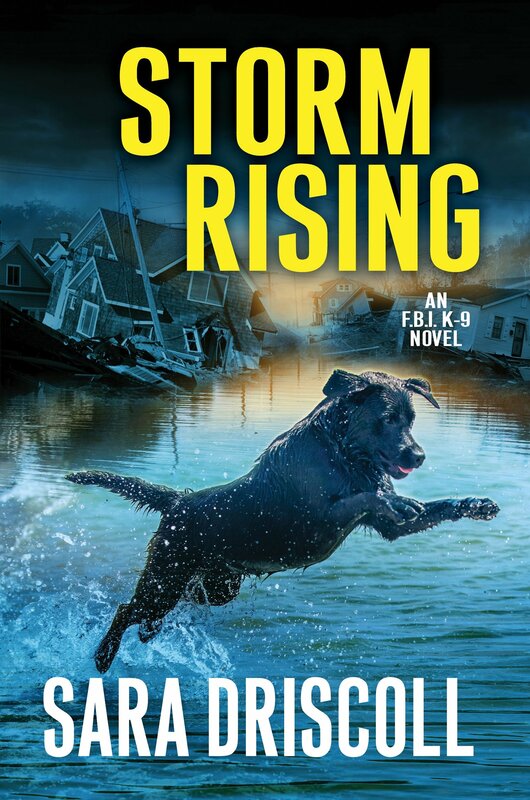 For those of you who enjoy thrillers we have reviews of three of them for you this week-Fractured Truth: Bone Gap Travellers by Susan Furlong, Before It’s Too Late: FBI K-9 by Sara Driscoll, and Storm Rising: FBI K-9 by Sara Driscoll. Details at the end of this post on how to enter to win a copy of all 3 books, along with links you can use to purchase them. If you have ad blocker on you won’t see the Amazon links at the end of each review. Brynn Callahan faces discrimination both on the job and in her personal life. She’s a Traveller, also known as a gypsy among other less flattering names. She’s an ex-Marine, given an honorable discharge after being wounded in action. She and her dog Wilco, a cadaver dog, have been hired by the local police department to help with search and rescue or recovery of victims. As such, she’s an outcast with Travellers who distrust the police as much as the police distrust them. Her first search leads to the body of a young woman, sadly, known to Brynn. The girl was a fellow Traveller, due to be married soon. The scene looks like a black magic ritual, perhaps witchcraft, but it’s clumsily done. Brynn’s investigation brings backlash right to her doorstep when a brick thrown through the window narrowly missed her grandmother, seated in a recliner inside. Brynn receives threats as well. The more she investigates, the more danger she’s in from Travellers, townspeople, and even other police officers. Each clue just brings more questions. Furlong also wrote the Georgia peach series and the Resale mysteries. 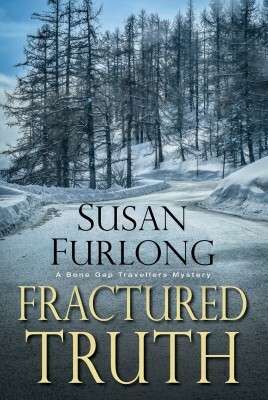 Fractured Truth is the second in the thrillers featuring Brynn (Splintered Silence was reviewed for KRL). This is one of my favorite series. Brynn is a flawed woman, but she has a purpose in spite of the obstacles. One way she copes is by drinking to excess and taking way too many Vicodin. At some point, something’s got to give, and she’s at tipping point now. What happens next will decide her future. She’s has chronic pain, mental pain too, and the scars to show for it. Wilco isn’t immune either; he was deafened by the same IED that derailed Brynn. She has to decide if searching for the dead is the thing she does best, which is more important, her work or deadening the pain? How much farther is she willing to go? 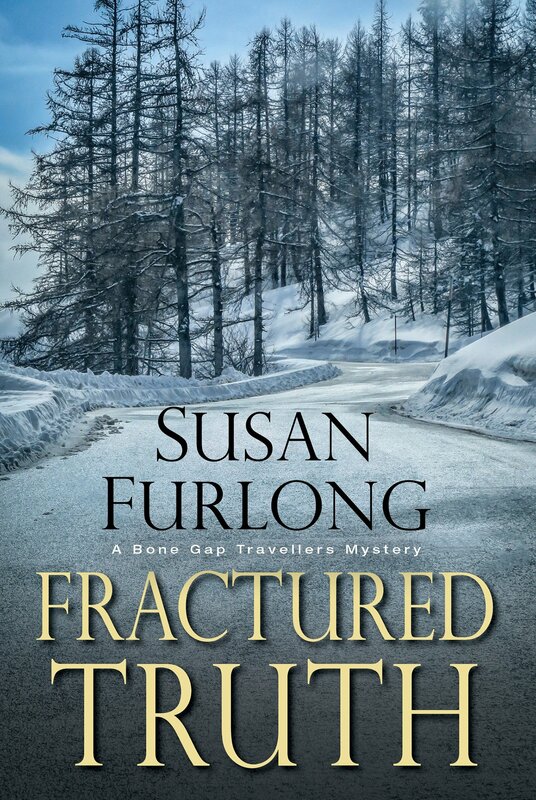 While Furlong’s other series are cozies, the Bone Gap Travellers books are thrillers with more details about the bodies and more suspense. Brynn is a woman coming apart at the seams, who doesn’t fit in anywhere, with no idea how to fix her life except to deaden the pain. This is a series I highly recommend. 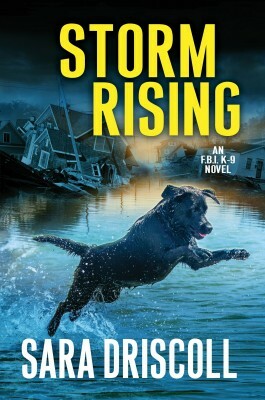 Meg Jennings and her search and rescue Labrador Hawk are FBI. In the normal course of events, they find people, dead or alive, and move on. Their newest case isn’t like that. A mysterious message is received: a challenge to find a girl buried alive before her air runs out. Decrypting the message is the hardest part—that and the race against the clock. The challenges don’t end there, however. Each message brings another clue, another woman in peril, another race to save her. As an FBI agent, Meg is trained to follow orders for the safety of the team, herself, and Hawk. For once, she goes against a direct order to search and hopefully rescue a woman left in an abandoned building about to be demolished. Just in case she’s able to stop the demolition, the killer has planted bombs of his own. 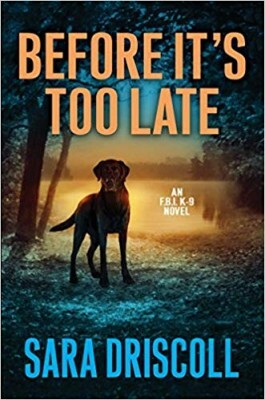 This is the second book in the series, published in 2017. The suspense will leave readers breathless as they run across fields, climb stairs, and narrowly escape injury with Meg and Hawk. They (Hawk especially) are great characters. Readers will be able to tell the books are written by someone who knows, and loves, dogs. It doesn’t hurt that the author knows and can write a good mystery, too. After a hurricane, there are always people in need of rescue, usually those in jobs they can’t leave (hospitals, nursing homes, and the like), those who refused to leave for fear of looters, or who just don’t believe it will be as bad as predicted. Because they’ll be found in the rubble of what used to be a building, Meg and Hawk, a K-9 search and rescue team, are invaluable. Meg’s firefighter/EMT boyfriend is also called in to help. When a mostly submerged van is spotted in the flood waters, Hawk alerts Meg that someone did escape in time. Finding a young girl brings about more problems than the flood itself. The problem with investigating in the aftermath of such a storm is most of the evidence has been washed away. Clues are buried under debris, houses have vanished, people can lose themselves in the chaos. Meg is detailed to work with Special Agent Walter Van Cleave to track not just runaway girls but the men who traffic them nationwide. As with Before It’s Too Late, the suspense just keeps coming. Readers will barely have time to catch their breath before Meg and Hawk are off, either chasing or being chased. The characters are good, the mystery even better. For a fast-paced thriller that will keep the pages turning long after bedtime, catch up with Meg and Hawk—if you can. Sara Driscoll is the pen name for two writers, Jen J. Danna and Ann Vanderlaan, who also write the Abbott and Lowell Forensic mysteries. Jen is an infectious disease researcher in Toronto. Ann lives in central Texas with five pit bulls, including Kane, who is a certified therapy dog. To enter to win a copy of all 3 books, simply email KRL at krlcontests@gmail[dot]com by replacing the [dot] with a period, and with the subject line “thrillers,” or comment on this article. A winner will be chosen February 9, 2019. U.S. residents only. If entering via email please include your mailing address (so if you win we can get the book sent right out to you), and if via comment please include your email address. You can read our privacy statement here if you like. These mysteries sound intriguing and interest me greatly. Thanks. Sounds good, thanks for offer! wow – they sound great – thanks for the contest. I do enjoy thrillers from time to time. These would be great for right now. Thanks for putting them on my radar. Would love to win these books ! They all sound great !! Thank you for the giveaway and the opportunity to win! Looks like three amazing books. Would really like to read. All of the books sound great! I’m entering the contest. I hope they’re as good as the Margaret Mizushima’s Timber Creek K-9 series. I love thrillers and there’s nothing better to do in the cold weather than curl up and read a good one. Awesome Thanks for the chance to win ?? ?